Craig Asher is a principal at Vital Venture Capital LLC, a venture capital group investing in life sciences platforms and business-to-business software. 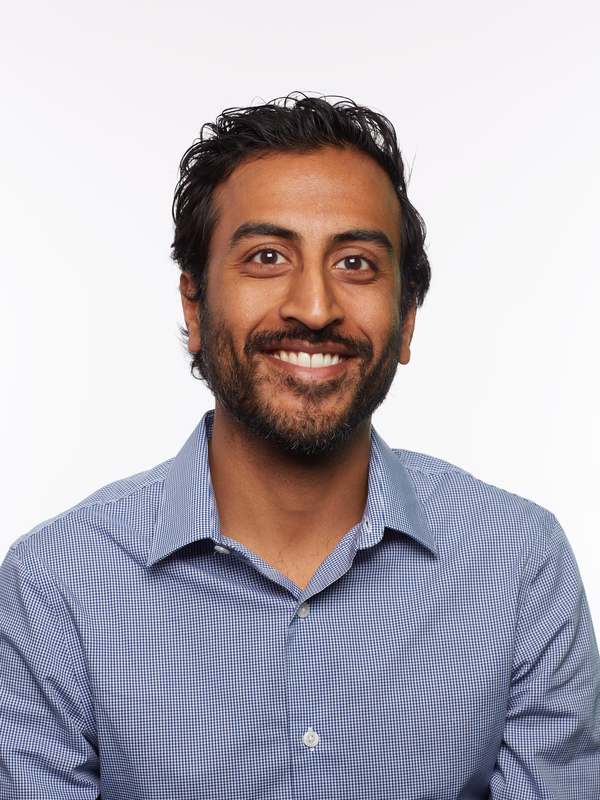 Before Vital he was a product manager at three software startups—one in e-commerce that went public; one that he helped grow from near-death to a category leader that was purchased by IBM; and a third within IBM that is now a key part of the IBM Smarter Planet initiative. Before working in software, Craig was a consultant for retailers, distributors, and manufacturers in the supply chain strategy group at Andersen Consulting (now Accenture). He has an MS degree from IEMS and an MM from Kellogg. Tom Brody works for the U.S. EPA-Region 5 Chicago office. He serves as an Environmental Systems Engineer in the Resources Management Division. His interests are in the areas of planning, design, development and implementation of Geographic Information Systems. Recent publications of note examine critical ecosystems in the Midwest as well as threats, vulnerabilities, and management of crude oil spills at the subwatershed level. Before joining the EPA, Tom served as a laboratory/graduate participant at Argonne National Laboratory. He received a PhD in IEMS from Northwestern University in 1998. Ilene Brostrom is a Private Wealth Advisor and Managing Director of Gurtz, Yurachek, Brostom & Associates. She earned her MBA from The George Washington University and a BS in Industrial Engineering at Northwestern University. In addition to serving on the advisory board for IEMS, Ilene serves on the board of directors for Hope Connections. Randy Ching is the co-founder / CEO of UP2398 LLC, a pre-seed and seed stage venture capital firm. Randy’s professional experience includes practicing corporate law in San Francisco and working at eBay in various product and general management roles. Prior to starting UP2398, he helped start two media organizations, Honolulu Civil Beat and First Look Media, where he currently serves on the board of directors. He received his BS in Industrial Engineering and JD, both from Northwestern. Sanjiv Das is the William and Janice Terry Professor of Finance at Santa Clara University's Leavey School of Business. He previously held faculty appointments as Associate Professor at Harvard Business School and UC Berkeley. He holds post-graduate degrees in Finance (M.Phil and Ph.D. from New York University), Computer Science (M.S. from UC Berkeley), an MBA from the Indian Institute of Management, Ahmedabad, B.Com in Accounting and Economics (University of Bombay, Sydenham College), and is also a qualified Cost and Works Accountant. Prior to being an academic, he worked in the derivatives business in the Asia-Pacific region as a Vice-President at Citibank. His current research interests include: the modeling of default risk, machine learning, social networks, derivatives pricing models, portfolio theory, and venture capital. Tony Gambell is a Partner in McKinsey & Company’s Operations Practice and leads the North America Manufacturing Practice. Tony’s clients are predominantly global leaders in Pharmaceutical, Medical Device, Advanced Industries, and Consumer Packaged Goods. He holds BS degrees in Manufacturing Engineering and Industrial Engineering from Northwestern University and is a graduate of the Leaders for Global Operations program at the Massachusetts Institute of Technology where he earned a MBA and a MS, Mechanical Engineering. Shail Godambe is a supply chain executive with extensive global experience at Motorola. He is recognized for developing supply chain strategies, reducing costs and achieving best in class customer responsive operations. Shail holds a bachelor’s degree in mechanical engineering from Indian Institute of Technology in India and an MS/PhD in industrial and systems engineering from Illinois Institute of Technology, Chicago. Brittany Martin Graunke is a passionate social entrepreneur and founder of Zealous Good, a website that connects people with extra goods to local charities with matching needs. Brittany studied Industrial Engineering and Management Sciences at Northwestern University and began her career in the Chicago office of Bain & Company as a strategic business consultant. After time in the for-profit, non-profit and start-up sectors, Brittany currently consults high growth start-ups on operations. Sania Irwin is an accomplished technology executive focused on generating the vision, the blueprint, and the collaterals to transform today’s society into the intelligence driven world of the future – realizing smarter societies, enterprises, and lifestyles. Dr. Irwin has experience in creating cutting-edge products and solutions for the wireless market, in the space of Internet of Things (IoT), connected and autonomous driving, applications, experience management, self-organizing networks, and location awareness, by infusing actionable knowledge into objects around us through analytics and machine learning techniques. She has worked extensively in the telecommunications industry, as well as in the automotive and business process service industries. Outside of work, Sania enjoys travelling and is an avid long-distance runner. She lives with her family in Glen Ellyn, Illinois. Dr. Irwin earned her MS and PhD from Northwestern University. Hina Jaffery is a Program Manager at Hamilton Sundstrand, the aerospace division of United Technologies Corporation (UTX). She has worked with customers in Brazil, Canada, France, Germany, and Spain. Her prior roles include assignments in: new business development, the formation of a joint venture in China, supply chain, quality, and operations and factory transfers. Ms. Jaffery holds both a BS IEMS and an MEM from Northwestern. Saba Jaffery is a Business Unit Supply Chain Manager at UTC Aerospace Systems (NYSE: UTX). Her prior roles include assignments in: program management, business development, the formation of a joint venture in China, quality, and operations and factory transfers. In addition to serving on the MEM advisory board, Saba serves on the IEMS advisory board and the boards of Keith Country Day School and the Members Alliance Credit Union in Rockford, Illinois. 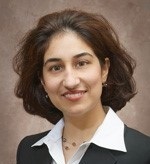 Saba is also a chair for Rockford Chamber of Commerce’s Lead 360 organization. Saba holds a BS IEMS and an MEM, both from Northwestern University. Michael P. Johnson has served as principal investigator on a project, funded by the National Science Foundation, to develop decision models that assist community development corporations to design foreclosure response strategies for neighborhood revitalization. Professor Johnson's work has appeared in a variety of journals, conference proceedings and reference works, including Annals of Operations Research, Decision Support Systems, Encyclopedia of Operations Research and Management Science, Encyclopedia of Housing, Environment and Planning, Housing Studies, Journal of Geographic Systems. Degrees: PhD, Northwestern University, Operations Research, MS, University of California, Berkeley, Operations Research, MS, Georgia Institute of Technology, Electrical Engineering. Carley Jurishica is a Senior Product Manager at Asurion, a technology company providing protection and support solutions for major wireless carriers, cable providers and retailers. In her current role, she is responsible for driving the product growth strategy for a major wireless carrier. Prior to Asurion, she spent nine years with Rockwell Automation as a simulation consultant, sales account manager and a product manager. She received her Bachelor of Science in Industrial Engineering and her MEM degree, both from Northwestern. Molly Kelly is the VP of Business Development at BT Partners, a division of Miller Cooper & Co. She oversees BT Partners growth initiatives in identifying new markets and overseeing outreach programs to potential clients. In addition to new business initiatives, Molly manages the sales and marketing teams focused on adding new managed services and ERP customers. Prior to joining BT Partners, Molly owned and managed an ERP consulting firm which was purchased by Exact Software, based in the Netherlands, where she then served as General Manager for the Americas. She received a BS from IEMS and holds MCP, MCSE, MCDBA, ISO Auditor certifications. George Lannert retired in 2015 as President, CEO and part owner of Powervar, Inc., a manufacturer of electrical power supplies widely used in medical instruments and retail point of sale systems. He and his team grew the business from $6M in annual sales to over $70M, eventually selling the company to a large multinational. 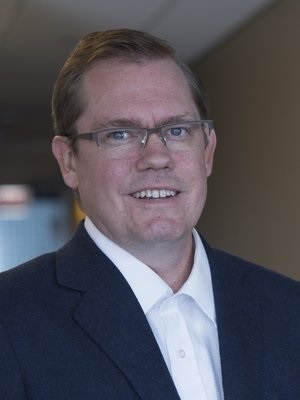 Prior to Powervar, he headed a division of Illinois Tool Works in the telecommunications industry and also worked in the U.S. and abroad for Motorola and as a general management consultant for Cresap, McCormick and Paget. He received his BSIE and an MBA, both from Northwestern University. Nathan Learner is co-founding partner of BLCP Capital Advisors in Phoenix, Arizona. Nathan identifies a diverse spectrum of opportunities (real estate, healthcare, private equity, consumer goods, sports and entertainment) for BLCP’s investors’ (foreign and domestic) acquisition. Prior to forming BLCP, Learner co-founded Strategic Capital Management – a real estate investment firm focusing on land and distressed debt investment. Nathan began his career as an institutional fixed income trader for Drexel Burnham Lambert in New York. He’s lived in New York, Tokyo, London, San Francisco and most recently Phoenix. He holds a Bachelors of Science in Industrial Engineering from Northwestern and a Masters in Business Administration from the University of Chicago. Joseph S. Martinich is Founders Professor of Operations Management at the University of Missouri - St. Louis. He holds a B.S. degree in Industrial Engineering from Northwestern University; an M.A. in Economics from California State University - Fullerton; and a Ph. D. in Industrial Engineering and Management Sciences from Northwestern University. He has worked and/or consulted for several organizations in manufacturing and service industries as well as not-for-profit organizations. He has held visiting and adjunct faculty positions at the John M. Olin School of Business Administration of Washington University (St.Louis), the Engineering Management Department of the Missouri University of Science and Technology, and the Industrial Engineering Department of California State Polytechnic University - Pomona. His current research is in scheduling of manufacturing flow cells, and the economic development aspects of recycling, re-use, and re-manufacturing. Patrick R. McCarter is a Managing Director and the Co-Head of the Global Technology, Media and Telecommunications ("TMT") group. He focuses on buyout and growth equity investments in larger companies including software, business services, semiconductors, communications, systems and related distribution businesses. Mr. McCarter is based in Menlo Park, California. Since joining Carlyle in 2001, Mr. McCarter has been actively involved with the firm's investments in Veritas, Dealogic, CommScope, Inc. (NASDAQ: COMM), Open Link Financial, Inc. (acquired by H&F), Open Solutions, Inc. (acquired by Fiserv), Freescale Semiconductor (acquired by NXP Semiconductors), Jazz Semiconductor (acquired by Acquicor Technology, Inc.), Sippican, Inc. (acquired by Lockheed Martin), and CPU Tech (acquired by Boeing). Prior to joining Carlyle, Mr. McCarter was at Morgan Stanley with a focus on financial institutions in New York. Mr. McCarter received his B.S. with a double major in industrial engineering and economics from Northwestern University and an M.B.A. from the Harvard Business School. Mr. McCarter is currently a member of the Boards of Directors of Veritas and Dealogic. Eva McGoey is Senior Director of IT Strategy & Innovation at Health Care Service Corporation (HCSC), where she leads the deployment of new solutions and delivers business technology innovation for the largest customer-owned health insurance company — the fourth largest health insurer overall — in the United States. McGoey’s solid track record of producing new and improved solutions has helped HCSC solve complex challenges with technology and moved HCSC forward as a leader in healthcare technology innovation. A native of Chicago, Illinois, McGoey holds a bachelor’s degree in Industrial Engineering & Management Sciences from Northwestern University. She is an active member of the Industrial Engineering and Management Sciences Alumni Advisory Board. Lori Nerenberg is the Senior Vice President at Northern Trust, based in Chicago. She has built her career at Northern Trust for 35 years, in Wealth Management Client and Partner Experience, after graduating from Northwestern University with a Bachelor of Science in Industrial Engineering. She oversees a team that works 20 projects at a time, and works to maximize production and optimize use of shared resources such as analysts and programmers so no one individual or group is overly taxed. George L. Nemhauser was educated at the Bronx High School of Science, City College of New York (B.Ch.E. 1958) and Northwestern University (M.S. 1959, Ph.D. 1961). Dr. Nemhauser joined the faculty of the Johns Hopkins University as Assistant Professor of Operations Research and Industrial Engineering in 1961. In 1970, he was appointed Professor of Operations Research and Industrial Engineering at Cornell University and Leon Welch Professor in 1984. He served as School Director during the period 1977 - 1983. He came to Georgia Tech's School of Industrial and Systems Engineering in 1985 as the A. Russell Chandler Professor and was appointed Institute Professor in 1991. He has held visiting faculty positions at the University of Leeds, U.K. the University of Louvain, Belgium and the University of Melbourne, Australia. His honors include membership in the National Academy of Engineering and several INFORMS (Institute of Operations Research and Management Science) awards. He has received a distinguished alumnus award from Northwestern. Jonathan H. Owen is Director of Operations Research (OR) at General Motors Global Research and Development. Dr. Owen began his career with GM in 1999 and was named OR Director in 2013. In this role, he leads strategic innovation activities for applied OR across diverse areas of the business that include pricing and revenue management, portfolio planning, vehicle technology selection and content optimization, supply chain and logistics, market demand modeling, and dealer effectiveness. Dr. Owen received his B.S. in Mathematical Science and Operations Research from the University of North Carolina in 1992 and M.S. and PhD. degrees in Industrial Engineering and Management Sciences from Northwestern University in 1993 and 1998. He is a member of the Board of Directors of the Institute for Operations Research and the Management Sciences (INFORMS), and serves on its Analytics Certification Board and as VP of Practice Activities. He is the author or several journal articles, book chapters and conference proceedings and co-inventor of multiple patents. President, Organization Alignment Consulting Group, Inc.
Rajesh C. Oza specializes in helping senior executives better align their organizations to achieve success. Simply put, he facilitates alignment of strategy and organization through a systems approach to client viability. Client viability includes change management, executive coaching, strategic planning, organizational design, culture and leadership development, double-loop communication and learning, high-performance teaming, stakeholder transition, roadmap implementation, and M&A integration. Dr. Oza received an MS from IEMS and a PhD in Organization Change from Pepperdine. As well, he facilitates T-Groups for MBA students at Stanford’s Graduate School of Business. Ken Porrello is a 1978 graduate of McCormick with a BS in IEMS and a 1982 graduate of Kellogg with an MBA in Finance and Economics. He is a Principal in Deloitte in their Technology Strategy practice. Ken serves on the McCormick Advisory Board and serves as the Chair of that board. Vicki Sauter joined the faculty of the College of Business Administration in 1979 after receiving her Ph.D. in systems engineering from Northwestern University, and serves currently as Professor of Information Systems at UM-St. Louis. Her research interests began with decision support systems, especially in the model-management area. You can view her book, Decision Support Systems for Business Intelligence. Currently Professor Sauter is working in the area of systems analysis with a focus on the improvement of methodologies. In addition, she is conducting research in the role of women in the information systems profession. Michael Sheldon has been a partner with Vincere Resource Group and RK Equity, after a 20 year career in private equity, investment banking and operations, during which he was actively involved in about 40 companies worldwide, and associated with over $5 billion of deal value. He has been an investment committee member of six funds, and served actively on numerous boards. From 1999-2009, Michael was president of ETF Group, a Swiss-based global venture capital group, and Nexam Capital, with investments in 10 U.S. portfolio companies, including Commerce One, Hotspot FX and Portero (where he served as CEO). 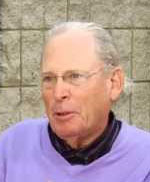 From 1992-1999, Michael was Managing Director and founder of the international private equity business for Trust Company of the West, where he built joint venture offices in India, Taiwan, Mexico, Brazil, and Argentina. Michael holds a B.S. degree in Engineering from Northwestern University and an M.B.A. from the Amos Tuck School at Dartmouth. Malik Thompson has twelve years of professional experience as a leader in process optimization, business process reengineering, and change management; 8 years in the commercial sector at both large, medium and startup companies, and 4 years in the federal sector as a federal management consultant. Mr. Thompson has managed large-scale total lifecycle strategic sourcing initiatives from solution identification through contract negotiations. Mr. Thompson uses his Lean Six Sigma background and a strategic, results-focused approach to enhance opportunities from design through implementation. His degree in Industrial Engineering, certifications in Lean and Six Sigma, and his Total Cost of Ownership full lifecycle project experience have contributed to his success in company and organizational process improvement. Alan Wasserstrom is a lifelong resident of Columbus, Ohio. He is married to his wife Diana. Alan is a big Northwestern University football fan. He is also an avid golfer and the owner of five dogs. Mr. Wasserstrom has spent his entire working career with the family business. N WASSERSTROM and Sons manufactures, designs, and installs turnkey foodservice facilities - from quick service to large institutional projects. Sandra Waters is Vice President for Collaborative Initiatives at the National Board of Osteopathic Medical Examiners (NBOME). In this role, Ms. Waters facilitates relationships with key stakeholder groups as the “Chief Collaborative Officer” for the organization. She has been instrumental in developing strategy, improving operations and leading innovation in diverse organizations and industries. Ms. Waters holds a Master of Engineering Management degree from Northwestern University where she serves on Advisory Boards to two programs. Audrey Williams-Lee is an experienced business executive with passion for building organizational excellence through strategic talent management, leadership development, culture and change. Her experience encompasses serving as a HR leader and advisor for C-suite executives and their leadership teams, community engagement, and setting and directing strategies for philanthropic giving. She has worked across several industries, holding Human Resources roles at Unilever, McDonald’s and W.W. Grainger. On the nonprofit side, she was the HR leader for Opportunity International. Ms. Williams-Lee receives her BSIE from Northwestern University and her MSOB from Benedictine University. She serves on the board of directors for Youth Guidance in Chicago, Illinois. She is a also a board member of Hephzibah Children’s Association and a member of the Oak Park & River Forest High School’s Community Council, both in Oak Park, Illinois.